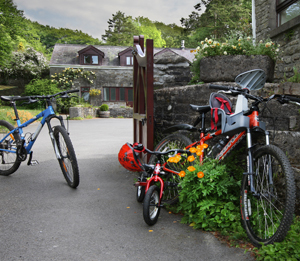 Our holiday cottages are popular with Afan Forest mountain bikers – we offer secure bike storage, bike washing facilities and an area to dry clothes and equipment. The accommodation enjoys a secluded and peaceful setting with pubs, restaurants and supermarket just over a mile away. What’s more – hiring a cottage is very cost-effective, particularly if you are in a group. Cilybebyll to Afan Forest Mountain Bike Route from Nick Russill on Vimeo. Skyline – 46km long with over 2000m of climbs/descents – epic views of Brecon Beacons. White’s Level – the most technical trail at Afan is 17km long. Y Wal (The Wall) – 24km loop with spectacular views and breathtaking descents. W2 – This black rated singletrack trail is 44km long. The Rookie Trail – the 1st green-graded easy trail in Afan. 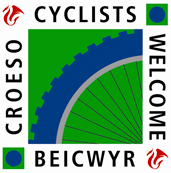 The Afan Forest Park website displays up to date information on walking and mountain bike trail diversions and closures. The status of the trails change frequently so the information is updated regularly. It’s always worth checking before leaving your accommodation (all our cottages have free wireless internet). A Mountain biking holiday at our cottages doesnt mean you have to spend the whole break on the purpose built trails. Cycling is a wonderful way to see the Welsh countryside. You can explore the Gower coast, head cross-country or follow an old canal in the valley bottom. You have the freedom to do it as you wish. And at the end of each day, you can relax in front of the fire in your holiday cottage, planning the next day’s riding.